The number one place to visit for any train enthusiast, and an interesting and educational exhibit for anyone else. This railway museum is located behind “Varshavsky Express” shopping & entertainment center, the former Warsaw Train Station (Varshavsky Railway Terminal) and includes a great collection (over 80 exhibits) of old steam engines, electric and diesel locomotives, coaches, and other rolling stock on platforms and tracks (like the Scalpel (SS-24) rail-mounted missile system). 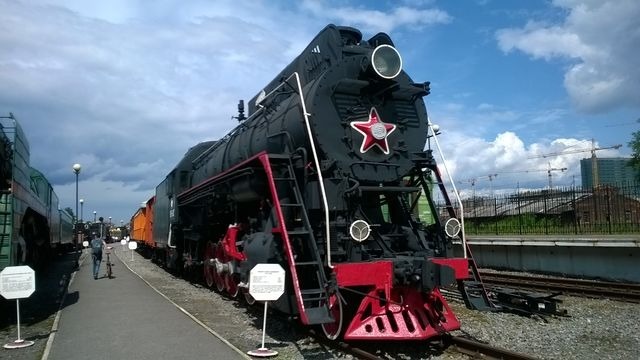 Varshavsky station (Russian: Варша́вский вокза́л), or Warsaw station, is a former passenger railway station in Saint Petersburg, Russia, now home of the Central Museum of Railway Transport, Russian Federation. The station was originally completed in 1858 for a rail line from the city to the Tsar’s residence in Gatchina. Until 1862 the line was extended to Pskov and to Warsaw (which at that time was a part of Congress Poland and the Russian Empire). The central building was designed in a mix of styles and finished by 1860 and the church that was built in front of the station was later demolished. The Station was closed in 2001, and the trade center Warsaw Express has occupied the building since 2005. 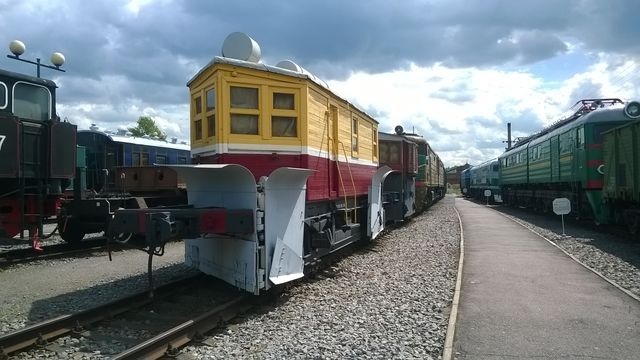 Oktyabrskaya Railway Museum is opened daily from 11-16 except on Mondays and Tuesdays, admissions start at 100 rubles per person and no in-advance appointment is required. The address is 118/2 Obvodny Canal Embankment, St Petersburg and near metro stations are Frunzenskaya and Baltiyskaya. You can get more detailed information on their website. The first time we visited St. Petersburg, the museum was closed because of the holidays (Victory day) so it was on the very top of our list the second time we came and we spent wonderful several hours there. 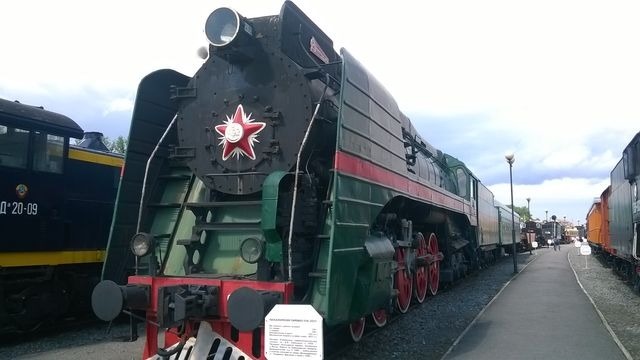 If we got a chance, we’ll definitely come back again and enjoy the walk through the history of Russian railway transport.